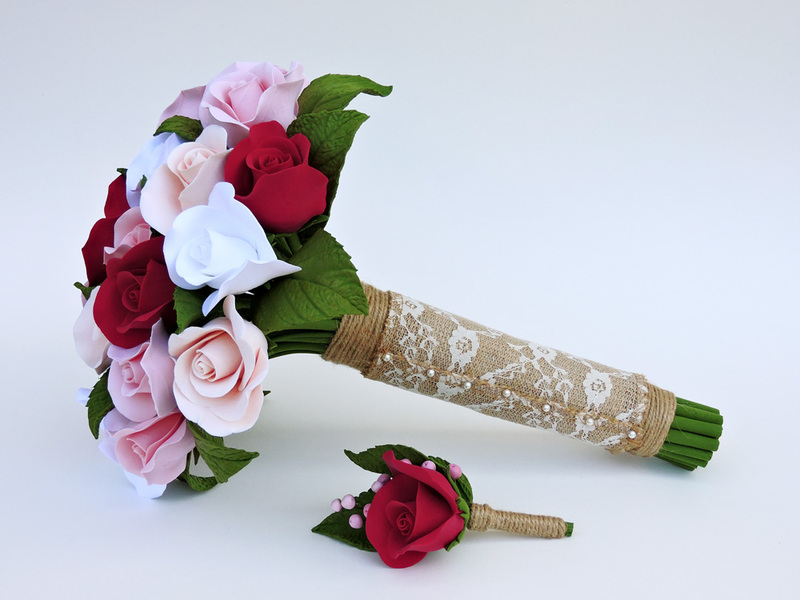 For Stephanie's bouquet, I made roses in red, white, peach, and two shades of pink. Josh's boutonniere has a red rose to match, and the berries are multiple shades of pink. Wrapping the finished pieces in twine and lace-covered burlap gave them a gently rustic look perfect for their September wedding.